Acceptance to the Kartika Review! My relationship with Vietnam is complex. For a long time I vowed I wouldn’t fall into writing ethnic stories, immigrant stories, etc. Then I realized that not only was I working against these expectations (market, self, literary, cultural), I was working against my kneejerk resistance to such expectations. How I see it now is no matter what or where I write about, I feel a responsibility to the subject matter. Not so much to get it right as to do it justice. Having personal history with a subject only complicates this — but not always, nor necessarily, in bad ways. I don’t completely understand my relationship to Vietnam as a writer. I wrote this story after my girlfriend and I broke up (right around the time this blog was started). I was fairly distraught over the idea of suddenly being alone again and needed to write out my grief, sense of loss, and abrupt solitude. I didn’t want to do a break-up/divorce story (I seem to do those best when I’m not feeling like that). 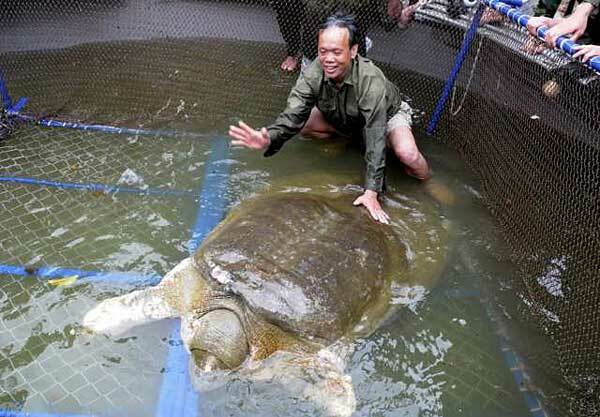 Somehow, the news article I read about a giant turtle from Vietnamese legend being discovered sick came into my mind and provided the backdrop for this story. I found myself writing about Vietnam for the first time in my life, but there was enough distance (and subtle amounts of fantasy) that I could do it without necessarily being very personal about the whole process. This entry was posted in Asian-American Identity and Diaspora, Path and Goal-Setting, Publishing, Writing and tagged fiction, god, hoan kiem lake, kartika review, literary journal, publication, short story, turtle, vietnamese, writing on October 3, 2012 by antranwritesstuff.